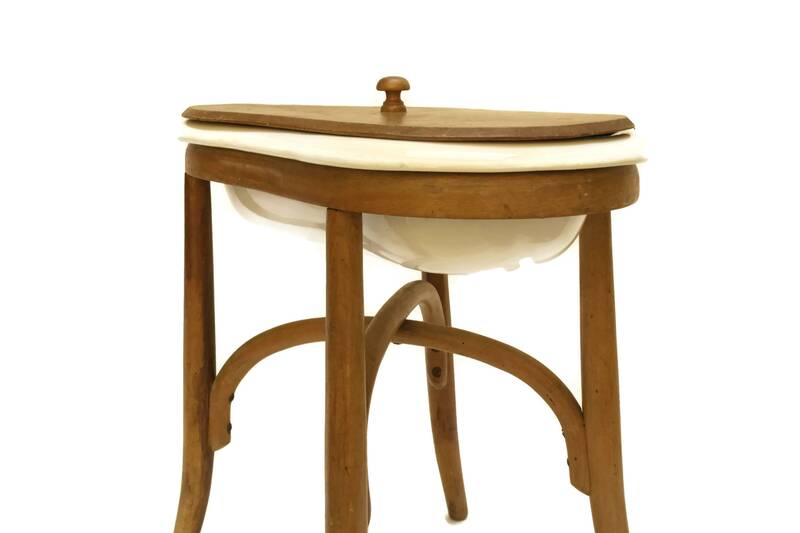 An antique French bidet dating to the the early 1900s. 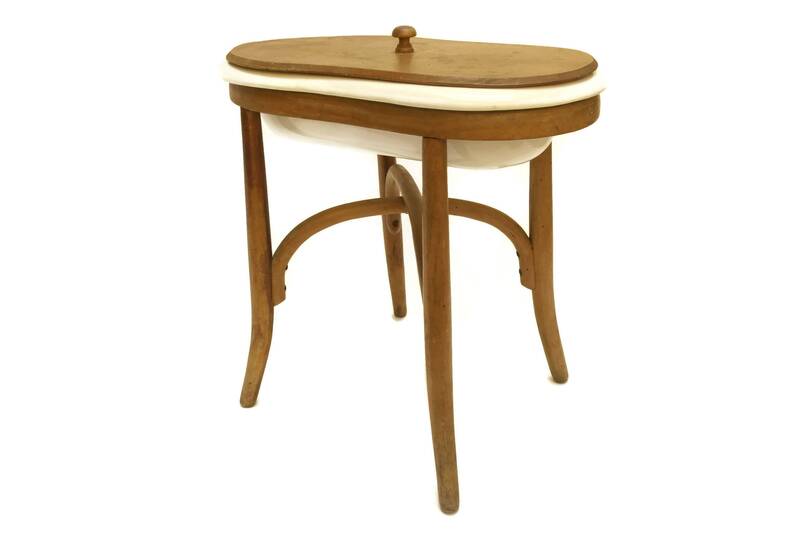 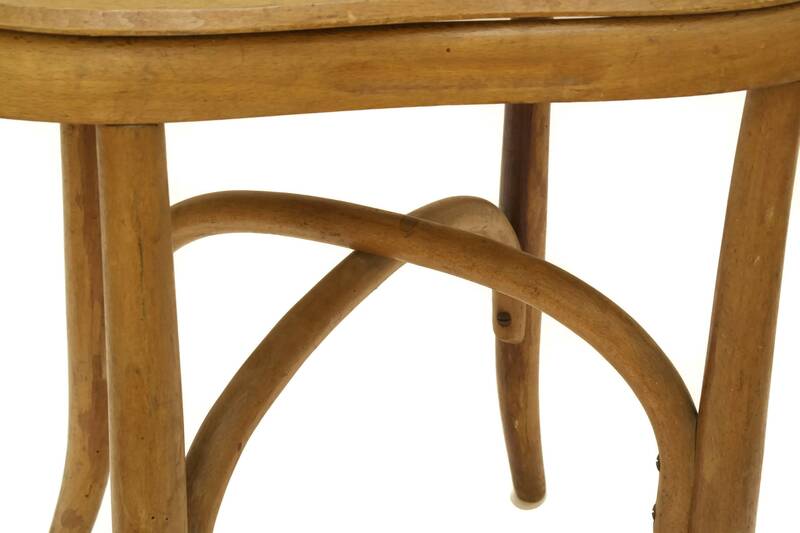 It features a bentwood frame with elegant curved legs and cross support bars. 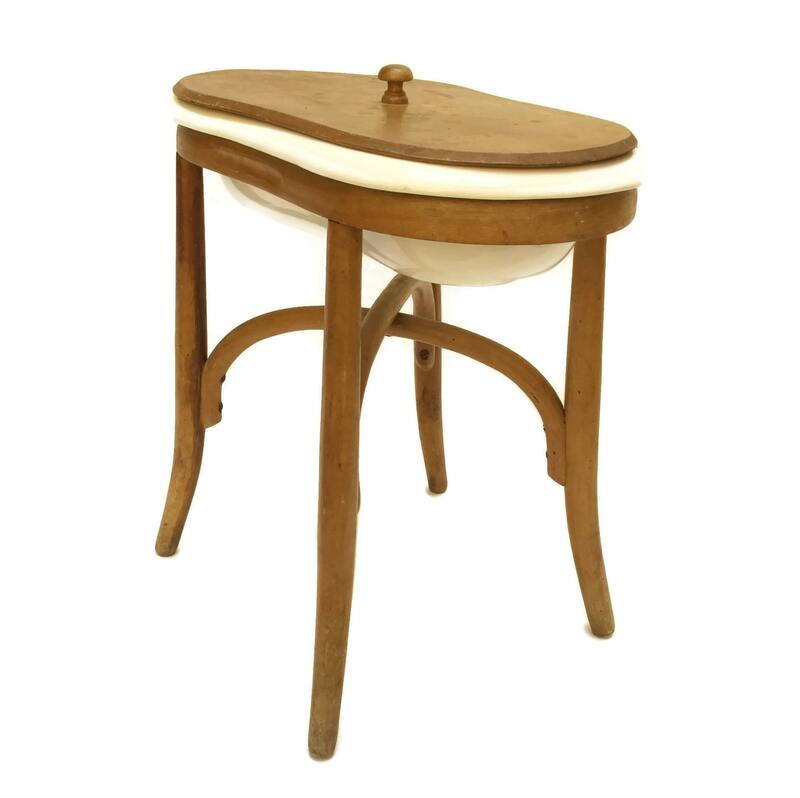 The large wash basin has been manufactured from heavy white glazed ceramic by the acclaimed French pottery company DIGOIN. 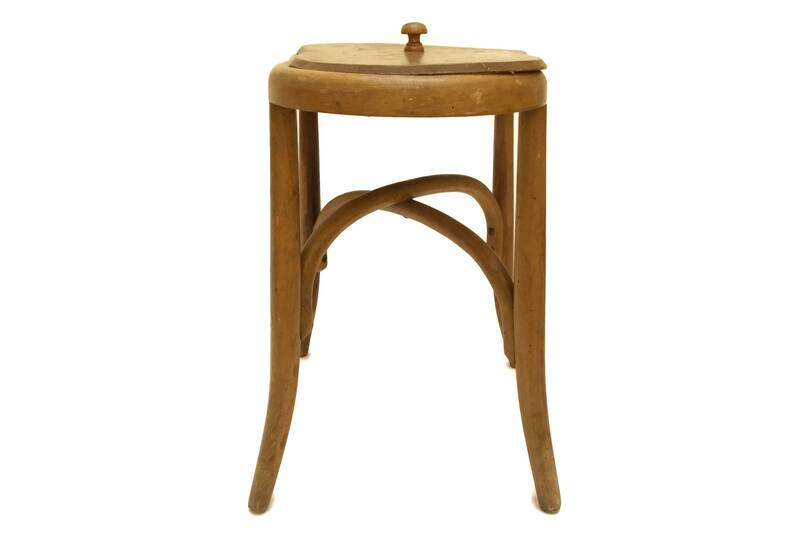 The basin has a wooden lid with matching curved edges. 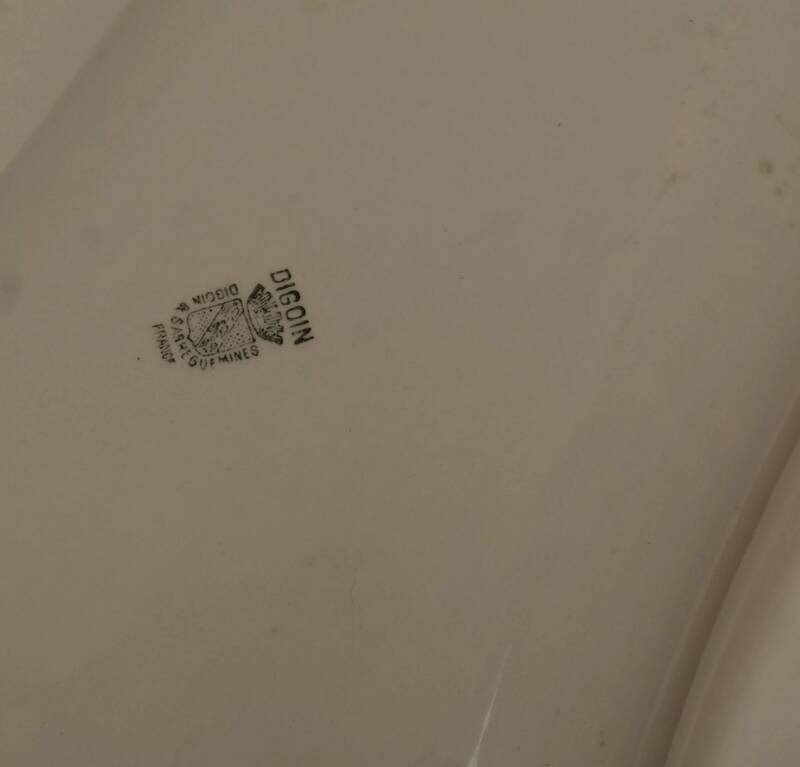 The underside of the bidet has been stamped with the Digoin maker's mark. 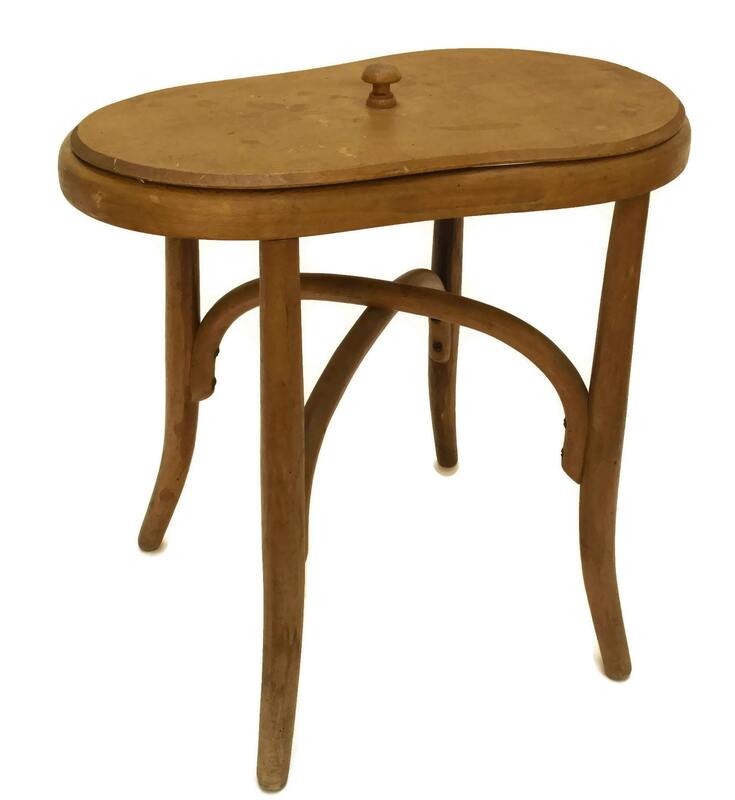 Wooden Frame: 18" Tall x 19" Long x 12" Wide (45 cm x 48 cm x 30 cm). 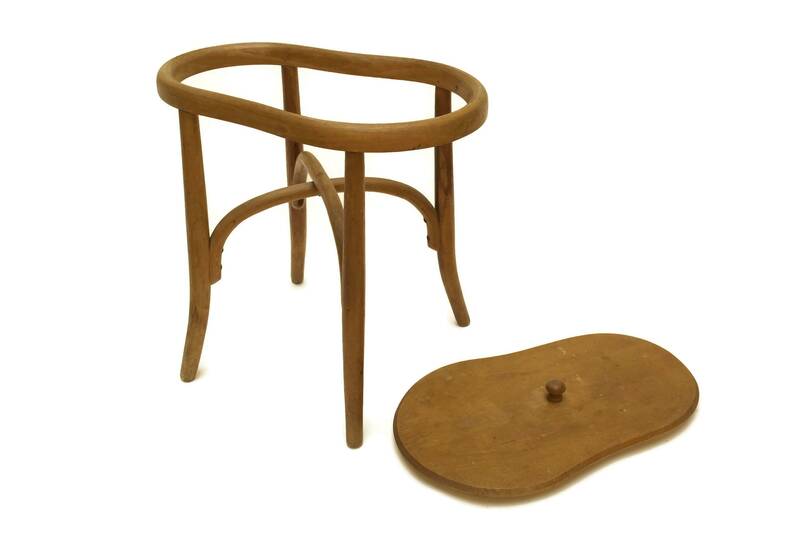 Wash Basin: 19" Long x 12" Tall (48 cm x 30 cm). 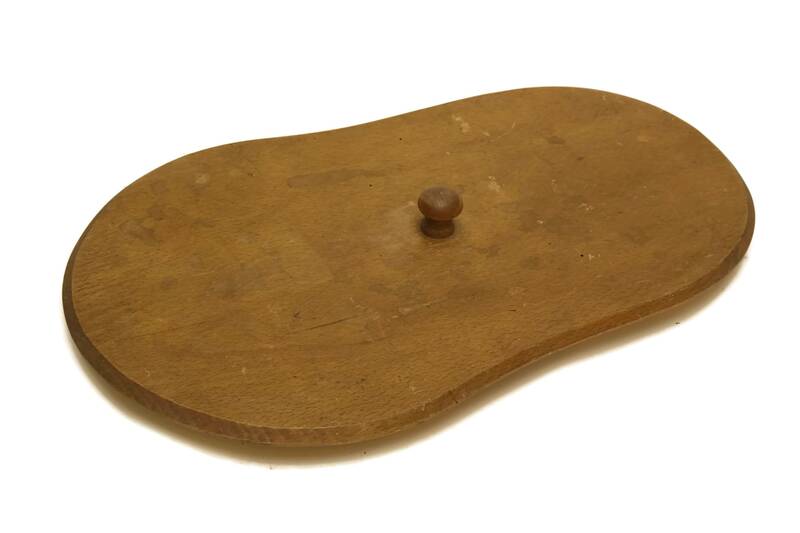 The antique French bidet is in very good antique condition with light wear and surface marks to the wood in places. 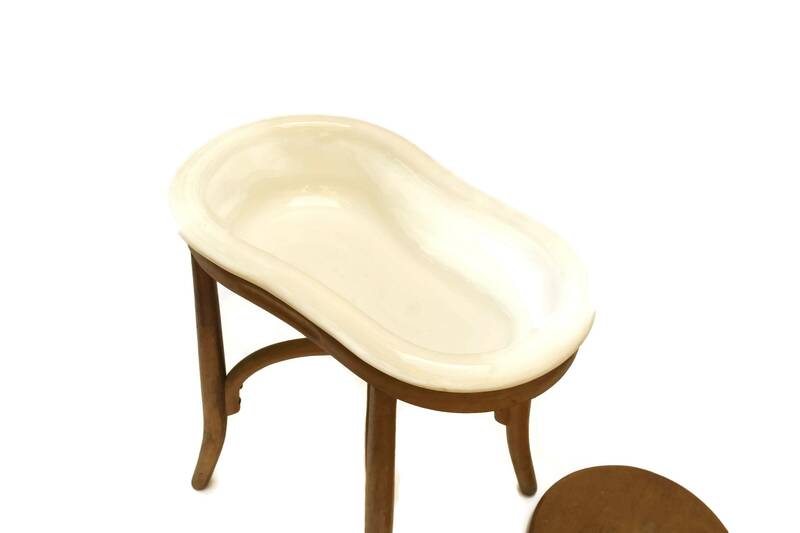 There are no chips, stains or cracks to the ceramic wash basin.